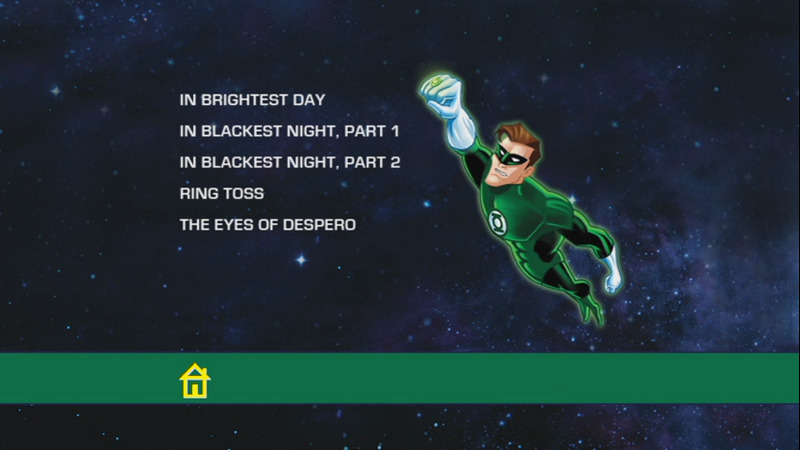 The World’s Finest has a first look at DVD media from the new The Best of Green Lantern DVD home video release, available below. The new DVD title from Warner Home Video, now on sale at all retail and online outlets, collects five different episodes from assorted DC Comics-based cartoons. Episodes from Superman: The Animated Series, Justice League, The Batman and Batman: The Brave and The Bold are all included. Continue below for assorted media from the title. Below are details issued from Warner Home Video for the DVD title. 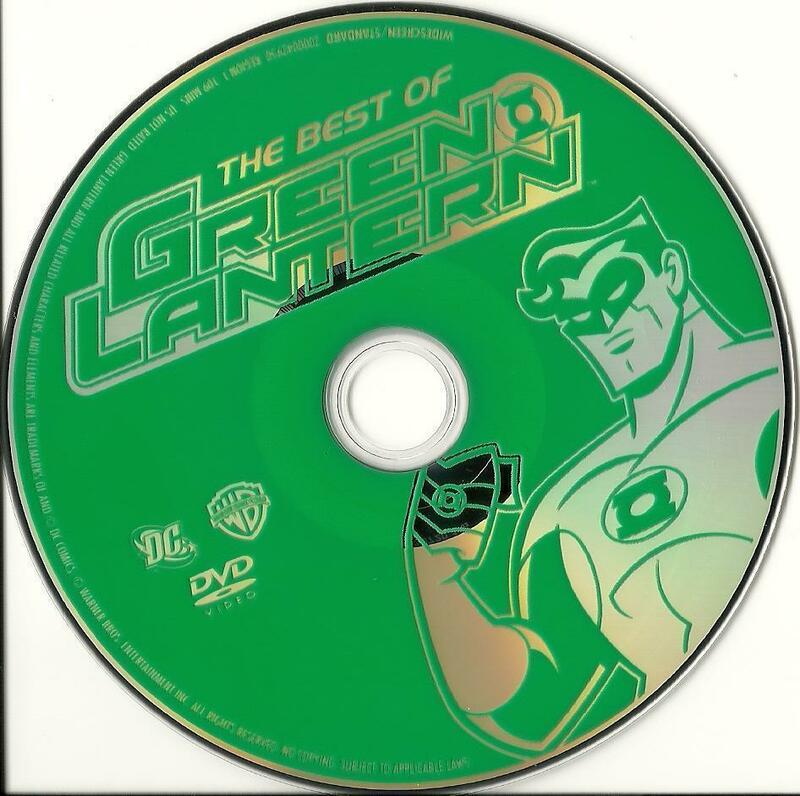 Synopsis: Together for the first time is the best of the Green Lantern in a single disc. Each Green Lantern has been chosen by the Guardians of the Universe and wields a power ring that can generate a variety of effects, sustained purely by the ring wearer’s strength of will; the greater the user’s willpower, the more effective the ring. The ring can be used for antigravity, space travel, flight, unleashing torrents of energy, translating alien dialects, and creation of green objects (constructs) of any shape. Across the years, the ring has been shown capable of accomplishing anything within the imagination of the ring bearer. This compilation contains 5 fan favorite action packed episodes that have been taken from other series. The MSRP for this release is $14.97. While The Best of Green Lantern is now available to own from Warner Home Video at all major online and retail outlets, it has been available since October 11th, 2011 – as a promotional tie-in for the home video release of the live-action Green Lantern theatrical film – at some retail outlets. Click on the link below to discuss this new DVD release. 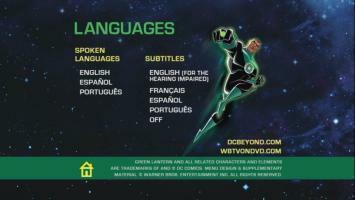 New package artwork and a new description for the upcoming The Best of Green Lantern DVD compilation title has been released by Warner Home Video. 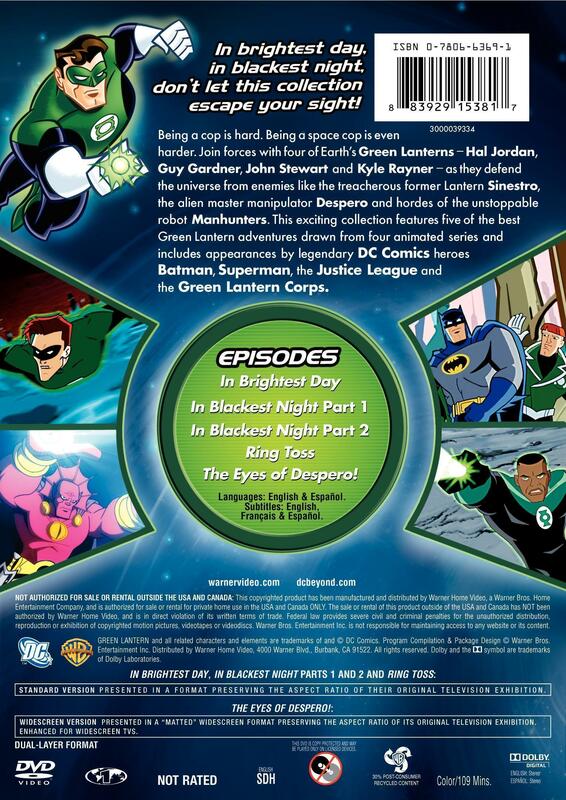 The upcoming release features five animated adventures from assorted cartoons focused on the Green Lantern lore. Continue below for a hi-res look at the package art, including a peek at the disc art, and the new release description details. In brightest day, in blackest night, don’t let this collection escape your sight! Being a cop is hard. Being a space cop is even harder. Join forces with four of Earth’s Green Lanterns – Hal Jordan, Guy Gardner, John Stewart and Kyle Rayner – as they defend the universe from enemies like the treacherous former Lantern Sinestro, the alien monster manipulator Despero and the hordes of unstoppable robot Manhunters. 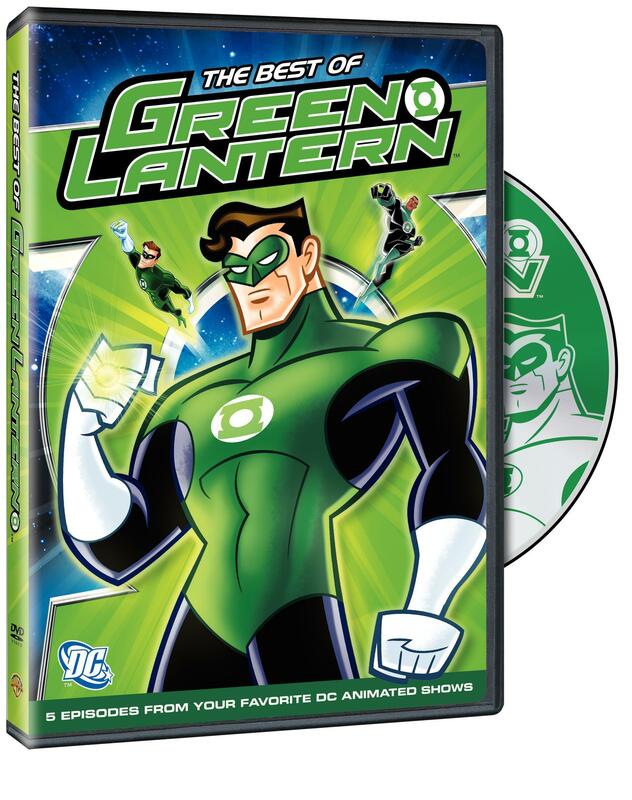 This exciting collection features five of the best Green Lantern adventures drawn from four animated series and includes appearances by legendary DC Comics heroes Batman, Superman, the Justice League and the Green Lantern Corps. The MSRP for this release is $14.97. Warner Home Video is marketing this release as a tie-in to both the upcoming Green Lantern: The Animated Series Cartoon Network series and the home video release of the live-action Green Lantern theatrical film. 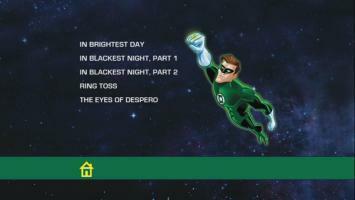 The Best of Green Lantern hits shelves on November 1st, 2011. 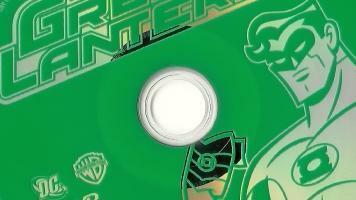 Warner Home Video has released initial details on a special compilation DVD release spotlighting the DC Comics character Green Lantern. 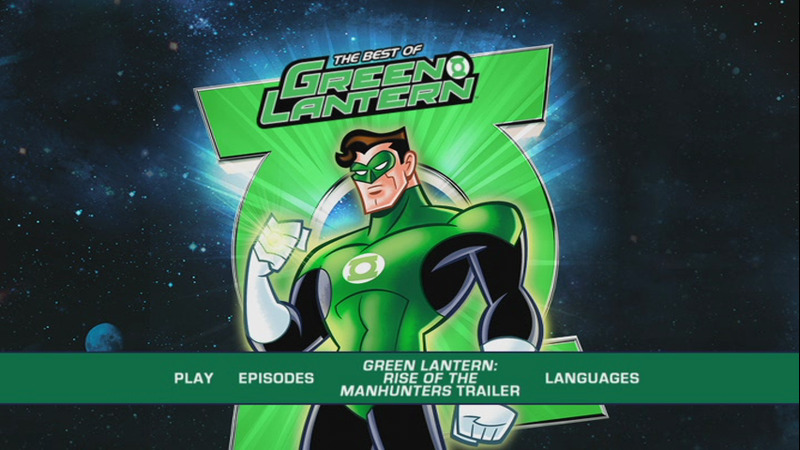 The Best of Green Lantern, collecting five different episodes of assorted DC Comics-based cartoons, hits shelves on November 1st, 2011. Continue below for a hi-res look at the cover art and official details.